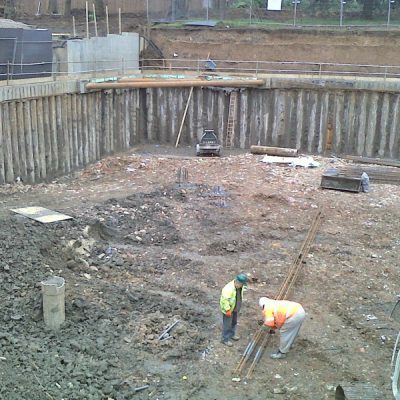 Design and Installation of waterproofing to a deep basement (3 floors) below ground level. 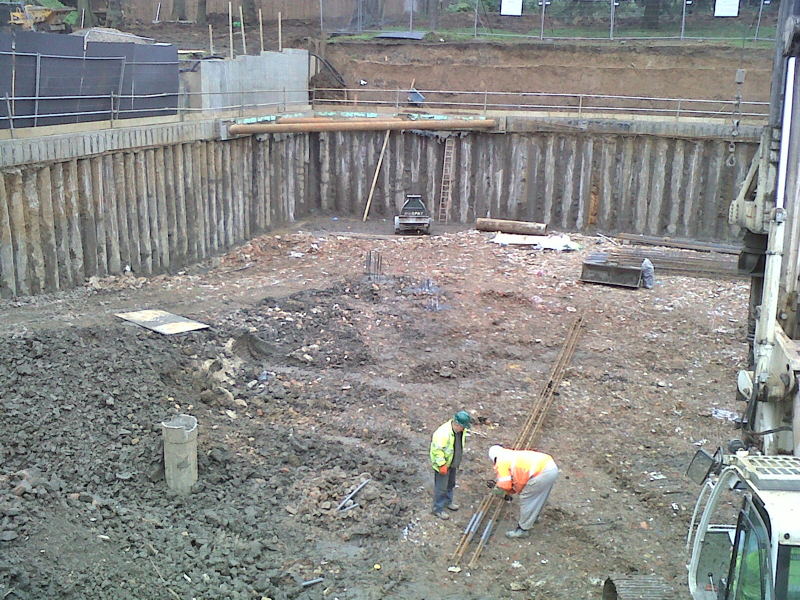 Construction of a large private dwelling house in West London that incorporates a deep basement. 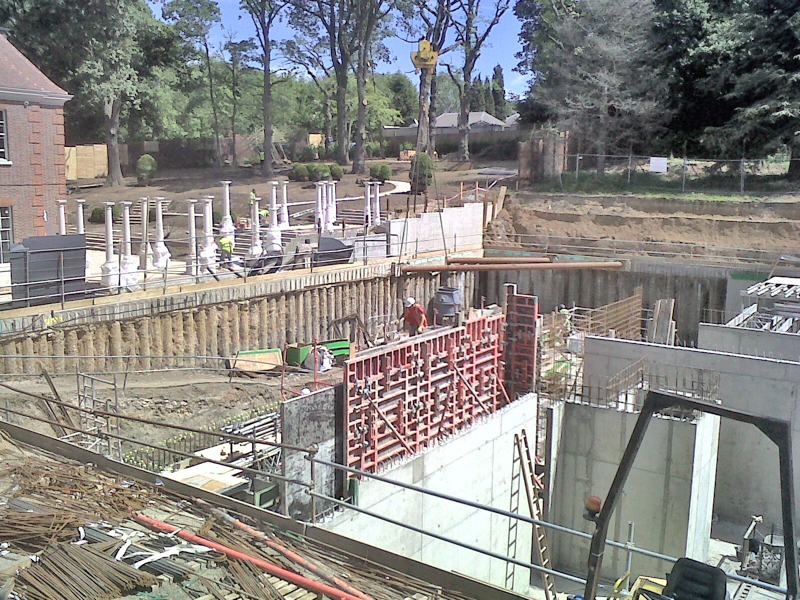 Barker Morris designed and are currently installing a substantial waterproofing system that combines a cement based barrier system with the secondary protection of a cavity membrane system. 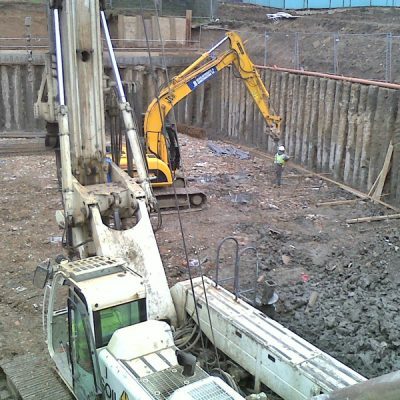 This project has required good communication between contractors to ensure that the barrier system is installed quickly and in order to maintain the tight concrete pouring programme of the structure. Barker Morris have been retained as part of the design team from the outset and have been working alongside the project Architect and Engineers in the production of the design and also in the cost feasibility process to ensure value for money is achieved. 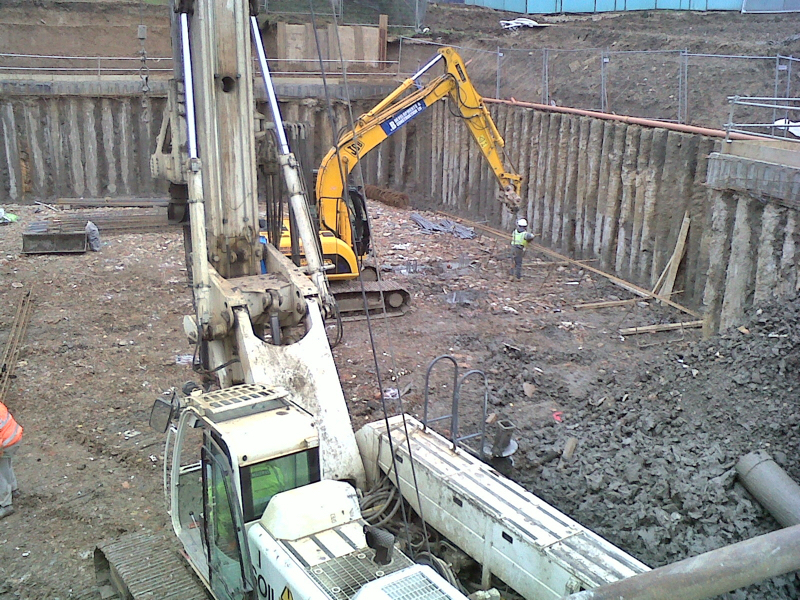 It is interesting that following careful consideration of all types of waterproofing the client’s design team selected a combined system of Types 1 and 3. 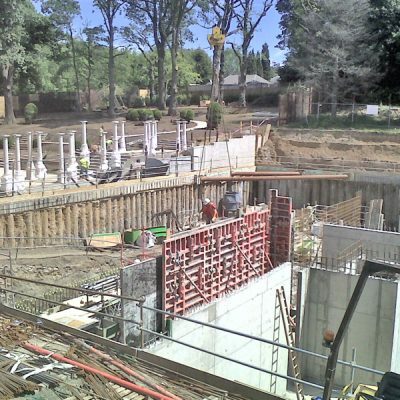 They did not choose a Type 2 structurally integral watertight construction, commonly referred to as “waterproof concrete” for reasons of reliability and budget cost.